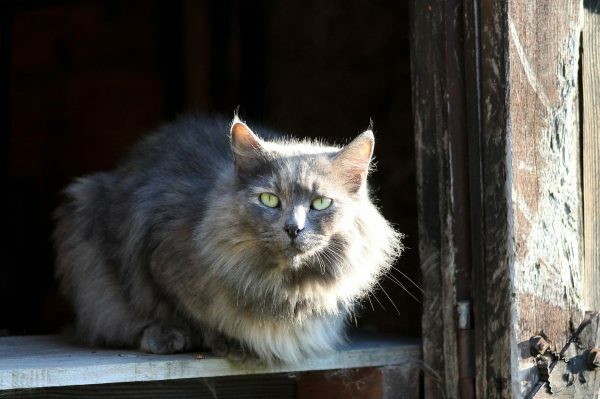 These spayed/neutered cats are well-suited to the acreage or farm life! These cats are not suited to living indoors as they will not use a litter box or are feral/semi-feral. To help these Barn Buddies find a home suited for them, we have waived their adoption fees. Applicants must be able to provide food, water and shelter for their Barn Buddy. What do you call a cat with attitude? A cattitude cat! Some of the cats we have in our care are not as social, but will still make good house pets. To help these “grumpy cats” find their forever homes, their adoption fees are waived. Cats can make wonderful companions for seniors, and pet ownership has many health and stress-relieving benefits too! To help the older felines in our care find suitable homes, we waive the adoption fees for senior cats (age 7 and up) when adopted by senior people (age 60 and up).